Today I used some Dove shampoo that my wife recently bought. As I massaged the white goop in my hair, I thought of how well it must be working because of how thick and foamy it felt. And then I realized that I had been duped. Shampoo is foamy for the same reason that margarine is yellow and Silk is located in the refrigerated aisle by the milk: because that's how consumers expect and want it. For some reason, people think foamy shampoo cleans better than non-foamy shampoo, even though it's purely psychological. 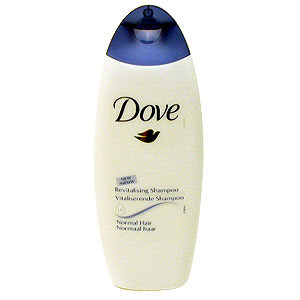 So Dove counts on that assumption when they create their product. And I fell for it. All I can say is, I agree. That is the best shampoo I have ever used...they have very effectively twisted my mind to think that way! When do I get to read another great post?